Welcome to Liberty Fire Solutions. We sell, inspect, service and repair fire extinguishers, sprinklers and fire suppression systems in Altoona, State College, Bedford, Lewistown, Johnstown and surrounding areas in Central Pennsylvania. From our operations center near Altoona, we provide a full range of fire protection products and services. 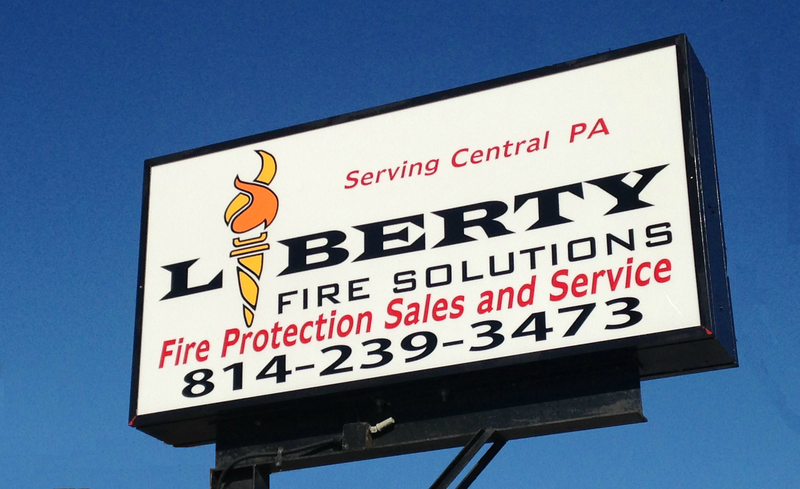 Liberty Fire Solutions is a leader in the fire protection industry, serving its customers for over 30 years. Our focus is on providing the highest quality products and services at affordable prices. We specialize in serving industry segments including commercial, restaurant, property management, healthcare, education, industrial and transportation. We take pride in our business and our reputation for delivering outstanding service and value to our customers. We look forward to earning your business - try us, you won’t be disappointed!